The first trailer for "Avengers: Endgame" dropped this morning and Marvel fans probably needed a few tissues after seeing the first footage from the film. It's been said by stars and producers that this movie will change the Marvel Cinematic Universe forever. Expect to lose a lot of the heroes you've grown to know and love over the past decade. But with a trailer comes questions. Here are the top five! 1 - Where is Captain Marvel? With her movie coming out weeks before "End Game," expect her involvement to be pretty hush, hush. What we do know is she (played by Brie Larson) is going to be crucial to beating Thanos and restoring the universe because she's basically the most powerful Marvel hero out there, according to reports. Sorry Thor, the future looks female in the MCU. You're still a god, you'll get over it, we're sure. 2 - Who will die? The clip opens with Tony Stark saying goodbye to his beloved Pepper. He's drifting in space with no food and very little oxygen. "Part of the journey is the end," he says. Don't expect Iron Man to go out like this. BUT this may be Robert Downey Jr.'s last run as Stark in some way. It may also be the last film for Chris Evans as Captain America. Nobody has embodied Cap more on and off screen than Evans but his contract is up after this film and expect a heroic exit for the acclaimed actor/director. Others may bite the dust too. 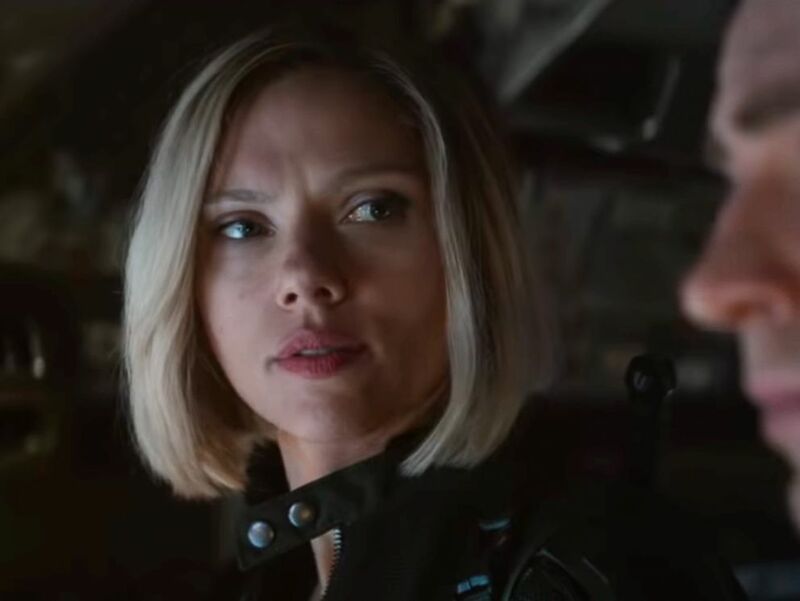 Scarlett Johasson is Black Widow in the 2019 Marvel Studios film, "Avengers: Endgame." 3 - What's the plan? Later in the clip, we see Cap crying discussing what Thanos did to the galaxy. If you lost count, Black Panther, Spider-Man, Dr. Strange, Star-Lord and many others were erased by the infinity stones. "This is the fight of our live," Captain America says. Chris Evans is Captain America in the 2019 Marvel Studios film, "Avengers: Endgame." So there is a plan but what is it? And who is involved? 4 - Where ya been Hawkeye? We also see Jeremy Renner return for the first time in years. If you were wondering about his new outfit, that's his alter ego Ronin. Jeremy Renner is Hawkeye in the 2019 Marvel Studios film, "Avengers: Endgame." Ronin is a darker character and one that hides his identity because maybe the world isn't all that happy with heroes who keep bringing the fight to Earth. They may be even less happy after half the population of Earth was wiped out by Thanos in an instant. 5 - Nebula and Ant-Man? In the books, Nebula plays a big role against Thanos in regards to the Infinity Stones and the Gauntlet. She's mourning the loss of her sister Gamora, so will she be the one to Kill Thanos? Paul Rudd is Ant Man in the 2019 Marvel Studios film, "Avengers: Endgame." Also the clip ends with Ant-Man returning and coming to see Cap and Black Widow. How will he factor in? "Avengers: Endgame" is set to debut May 3.